When I was young my nails were bitten right down to the skin. It was a nervous habit I had, plus with being a tom boy, I just didn’t really care about them looking pretty. Fast forward 15 years or so and I always try and keep them looking presentable. Thing is I struggle to paint them well myself so my little treat to myself if getting them done at a nail bar. Now, don’t get me wrong, most nail bars are perfectly fine, but sometimes they can be a little… cold? Well I think London Grace will change all that. 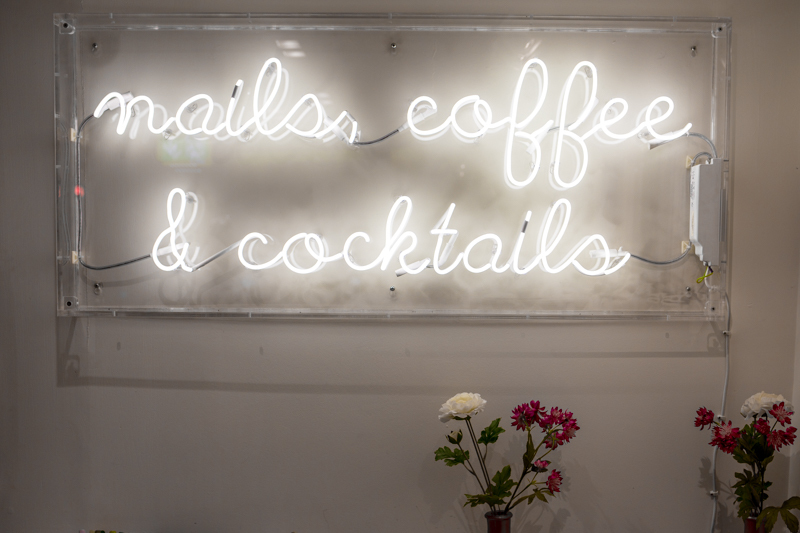 I mean come on, it’s a nail bar with a cocktail bar! Now this you have to see. 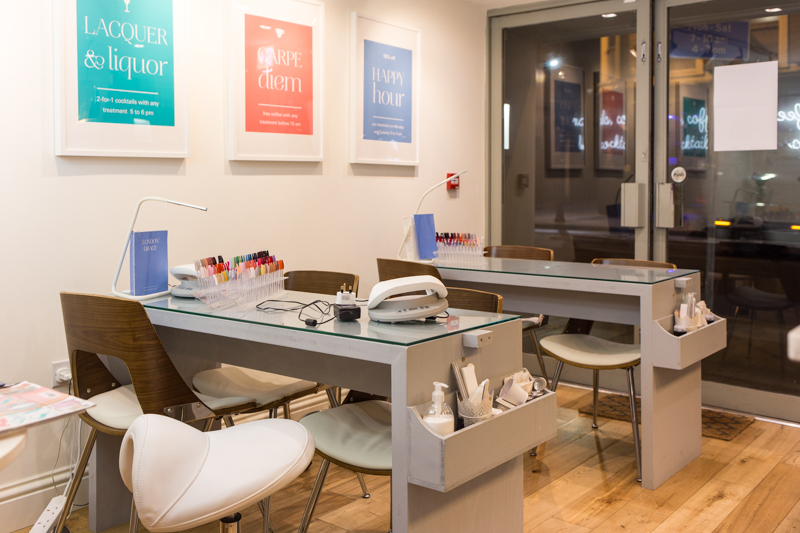 London Grace is a small chain of nail salons (currently there are two- one in Clapham and one in Putney, with plans to expand soon) set up by Kristin Hazell who spent her time studying in New York. 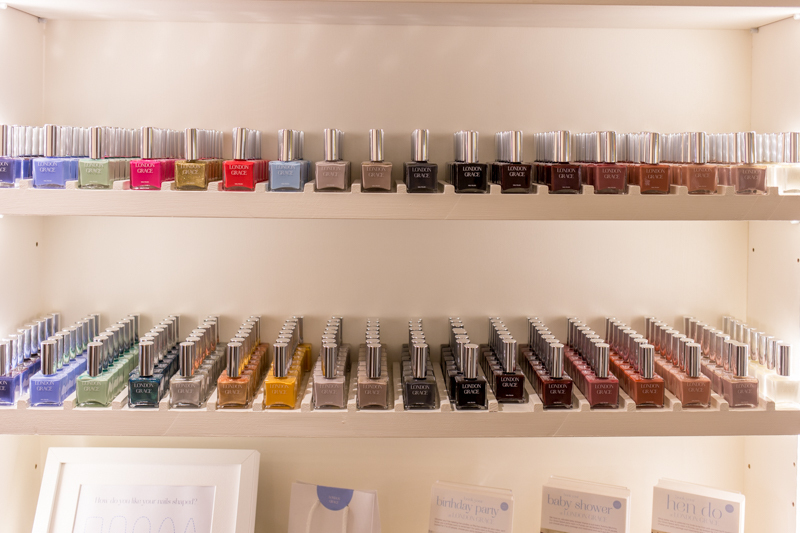 Like many things in the beauty world, New York gets it right sooner. 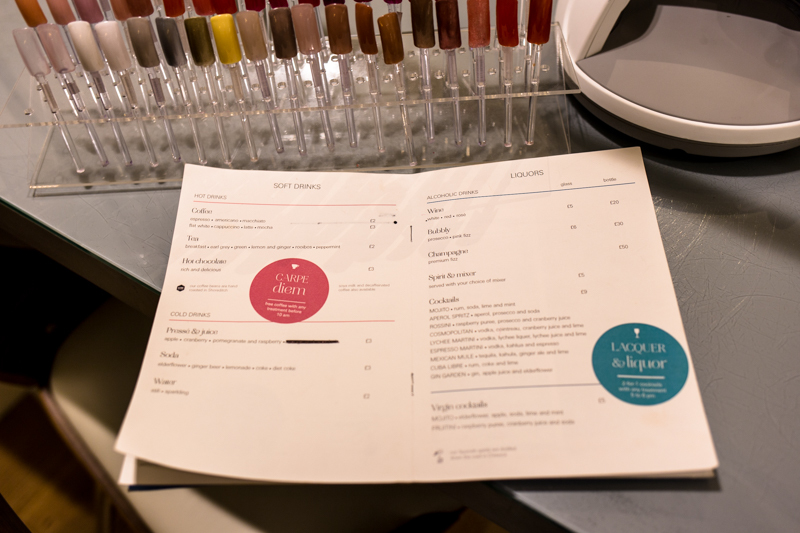 They were well ahead of us Londoner’s when it came to the blow dry bar movement, and as Kristin found, late night opening Nail bars where it was a socialable place to go. See this is what appealed to me. So many nail places close at 5- 5:30pm. Yet if you work, then that just isn’t possible. So London Grace is open till 9pm on Monday- Wednesday and till 10pm on Thursday and Fridays! Even Saturdays are till 8pm. People in London work crazy hours, so it’s nice to see some businesses who understand that and are open for longer. Inside it’s stylish and fun. Cute funky pictures and bunches if flowers dotted around. 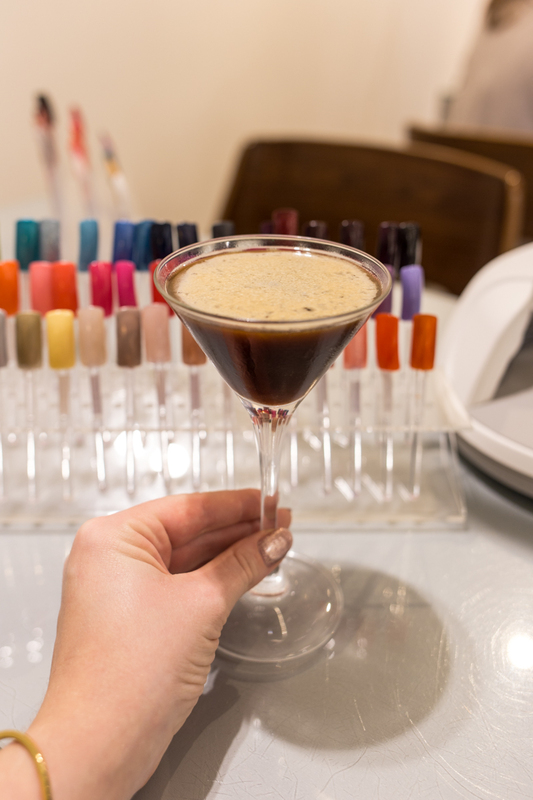 It’s certainly a world away from some of the very basic nail bars you find on the high street. 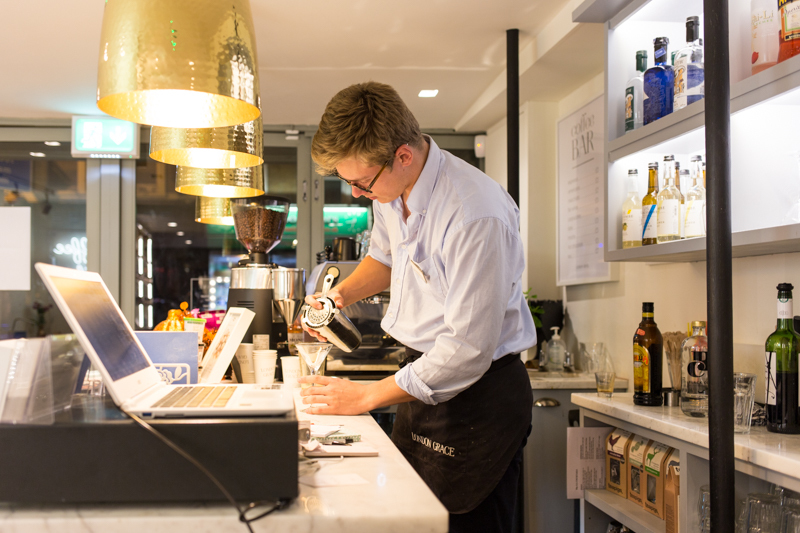 They serve a range of cocktails, prosecco and wine, as well as coffee and no alcoholic juices too. 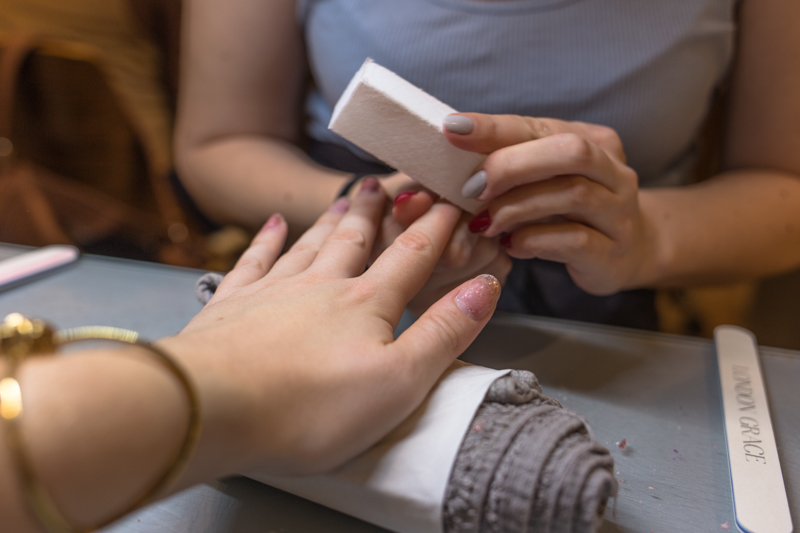 It’s such a good idea as it makes the whole experience a great treat, and feels like I’m really pampering myself, even if it is just after work. Obviously I had to go for my favourite; the espresso martini. 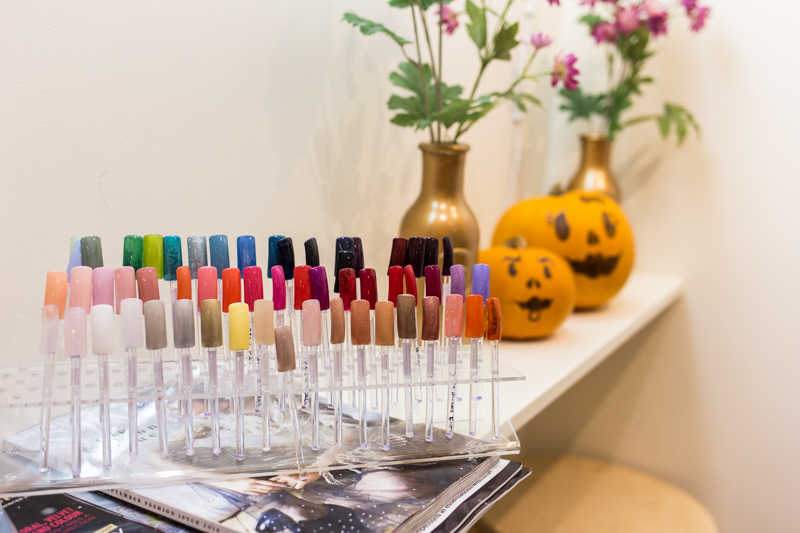 There are plenty of colours to choose from, both gel and regular polish. 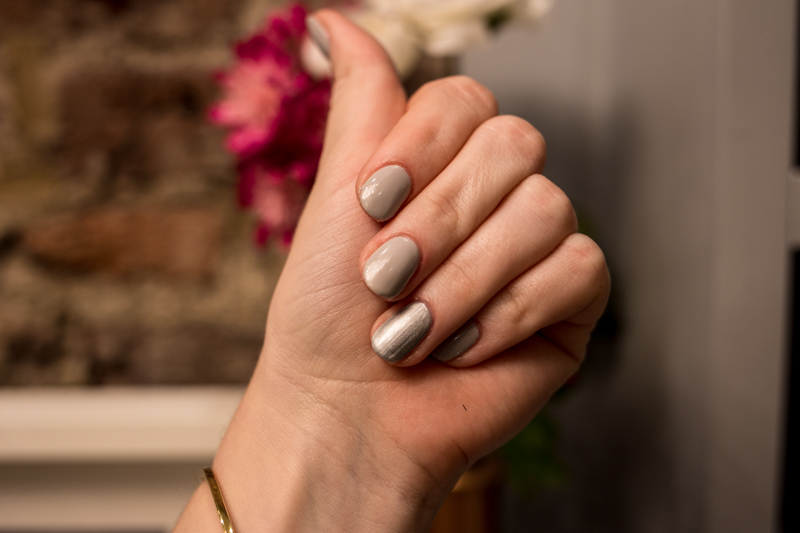 I found out that all their polish is cruelty free and the non-gel polishes they make themselves so they can make them as natural as possible. 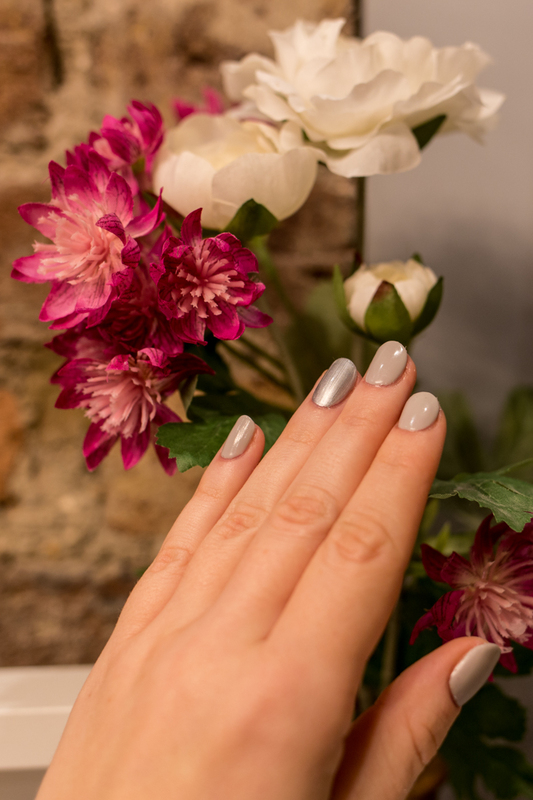 I decided to go for a grey gel as I wanted something pretty neutral, but I opted to have one single nail on each hand to be silver, for a little bit of jazz. The whole process who really relaxing and fun. Everyone chats, and sips on their drinks. 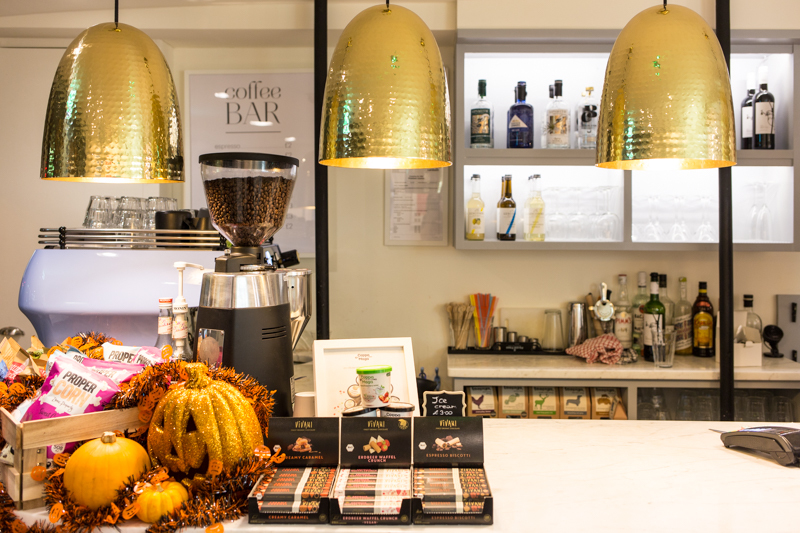 It's a great place to go for a natter whilst perking yourself up. But of course it's really all about the results. Well I think mine look fabulous. It's actually been 2 weeks now since I went (you don't want to know what my back log of work is) and I haven't had a single chip to my nails. I've still got the same varnish on now. I think London Grace is a great idea and certainly one us working women need. Check them out here for more information and booking.